One of the things that I like so much about gardening is that there are so few limitations. As we learned this winter, cold temperatures can be limiting if you're gardening outside. But did you ever consider that gardening does not just have to be an outdoor activity? You may think to yourself, "How am I supposed to grow tomatoes inside of my house?" Well, I'm not exactly talking about gardening for fruit production. What I'm really after is gardening for pleasure, relaxation or fulfillment! A garden can be as big or as small as you want it to be – and it doesn’t just have to be for food production. You can create a calming, beautiful atmosphere, full of life inside or outside of your home with just one small pot or container. There are several different, SMALL, plants that make gardening possible in almost any location. Choose a container that will be appropriate for the space that you will place it in. Does it need to have a saucer underneath it? If it does not have drainage, do I need to add a small layer of rocks in the bottom of the pot? When choosing your plants for a miniature garden it is important to make sure that you choose plants that will have similar water, soil, sunlight and fertilizer requirements. For example, it would not be a good idea to use a foliage type plants such as an ivy with a cactus or succulent. 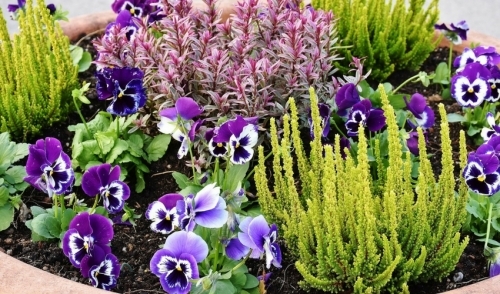 You will end up either overwatering one type or under-watering the other. Consult your local Louisiana Nursery garden specialists with questions about which plants will go well together. And lastly, don’t forget to add those little extra things to give your miniature garden that character you’re looking for. It can be something like a little fairy statue, colored moss, shells you collected on vacation or pebbles to create a little pathway! Let your imagination run wild. This is YOUR garden!